Terminalia Chebula belongs to the Combretaceae family. Fruit contains a constituent which has a wide antibacterial and antifungal spectrum and also inhibits growth of E.coli, the most common organism responsible for urinary tract infection. The fruit pulp exhibits laxative properties. 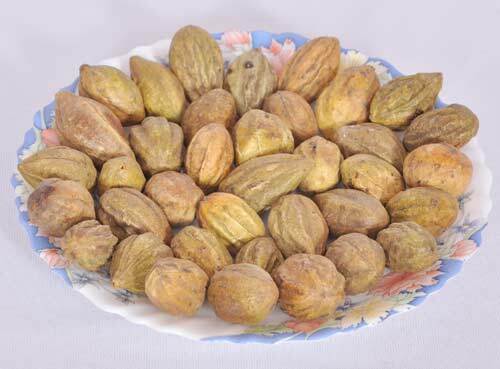 This is a species ofÂ Terminalia which is native to southernÂ AsiaÂ fromÂ IndiaÂ to Nepal. 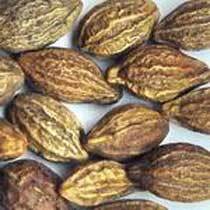 The fruitâ��s dried peel is used to cure cold-related nagging coughs. The fruit has digestive, anti-inflammatory, anthelmentic, cardiotonic, aphrodisiac and restorative properties and is additionally beneficial in flatulence, constipation & piles.